The rules of the business world are being rewritten—again—and Americans over 50 need to refresh their skill sets to meet the challenge of competing in a changing job market. Renowned workplace communications expert Robert L. Dilenschneider has completely revised and updated this indispensable guide to getting ahead in today’s volatile economy. 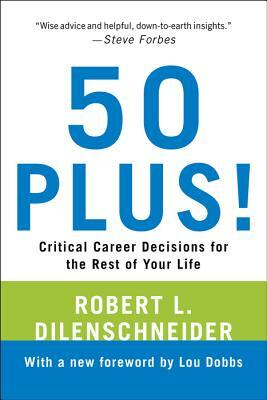 Robert L. Dilenschneider has hired more than 3,000 successful professionals and advised thousands more. He is founder of the Dilenschneider Group, a corporate strategic counseling and public relations firm based in New York City. Formerly president and CEO of Hill & Knowlton, he is the author of the bestselling books The Critical First Years of Your Professional Life, Power and Influence, A Briefing for Leaders, and On Power.